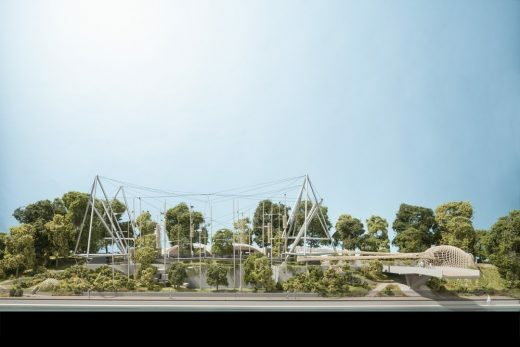 The Zoological Society of London (ZSL) is calling on animal lovers to help renovate ZSL London Zoo’s iconic Snowdon Aviary – offering donors the chance to become an integral part of the historic building’s metamorphosis. Earlier this year the Heritage Lottery Fund (HLF) granted an incredible £4.9M for the Aviary to be overhauled by Foster + Partners, but the international conservation charity still needs to raise a further £2.2M before restoration work can begin. The charity is giving donors the opportunity for their names to be immortalised in the structure for a £100 donation, or for their own personal message to become a permanent part of the London skyline for £400. Thanks to the support made possible by National Lottery players, ZSL London Zoo is set to transform the historic exhibit into a state-of-the-art walk-through primate enclosure, allowing visitors and schoolchildren to get closer than ever before to its troop of incredible colobus monkeys. ZSL Fundraising Director, James Wren, said: “Nearing our 190th anniversary, ZSL London Zoo is an iconic location in our capital city, steeped in cultural history and brimming with wonderful architecture. 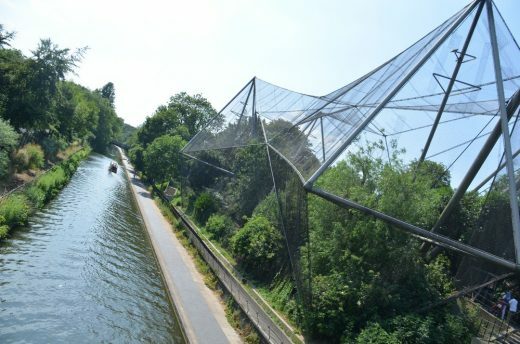 The Snowdon Aviary was Britain’s first-ever walk-though aviary, and has stood proudly on the bank of Regent’s Canal for more than 50 years, allowing our visitors to explore the habitat of the birds and admire them in a free-flying space. The new exhibit is set to be turned into a walk-through colobus monkey enclosure, which will give visitors a unique and up-close experience of the stunning primates. 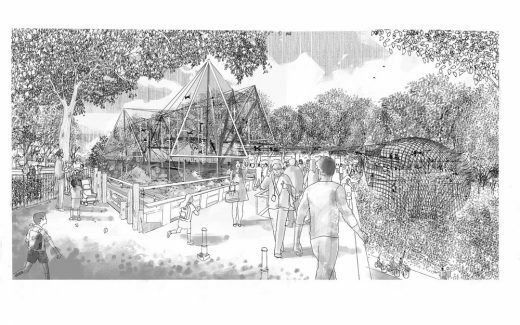 The historic exhibit’s transformation will include an innovative community learning space that will put ZSL London Zoo at the heart of the community, engaging 100,000 people, including those from disadvantaged backgrounds – making learning about wildlife accessible to all. Donations will help to restore the Grade II* listed structure, protect colobus monkeys in the wild, and provide the opportunity to educate thousands of schoolchildren – playing a unique role in bridging the growing divide between people and nature. This is the world’s oldest scientific zoo. It was opened in London in 1828, and was originally intended to be used as a collection for scientific study. It was eventually opened to the public in 1847. It houses a collection of 758 species of animals, with 16,802 individuals, making it one of the largest collections in the United Kingdom. The zoo is sometimes called Regent’s Zoo. It is managed under the aegis of the Zoological Society of London (established in 1826), and is situated at the northern edge of Regent’s Park, on the boundary line between City of Westminster and Camden (the Regent’s Canal runs through it). The Society also has a more spacious site at ZSL Whipsnade Zoo in Bedfordshire to which the larger animals such as elephants and rhinos have been moved. As well as being the first scientific zoo, ZSL London Zoo also opened the first Reptile house (1849), first public Aquarium (1853), first insect house (1881) and the first children’s zoo (1938).